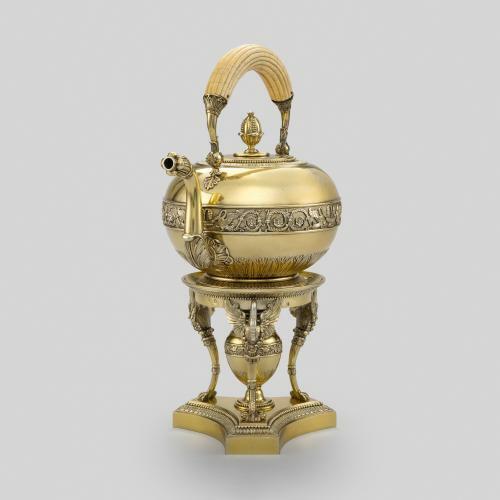 This kettle is engraved with the arms of Thomas Hope, who was a celebrated designer and collector during the Regency period in England. He bought his house in Duchess Street, London, in 1799 to display his collection of antique and modern art. 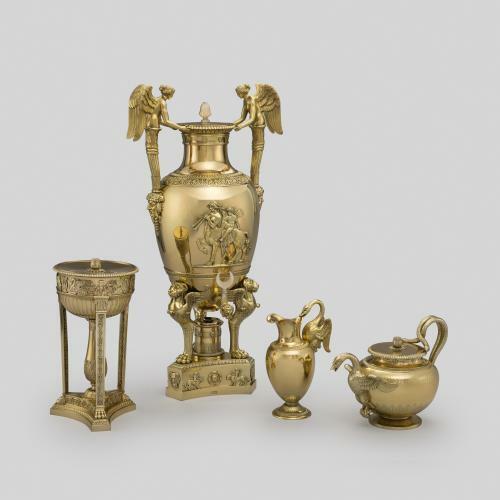 In 1807, Hope published an illustrated account of the house and its furnishings entitled Household Furniture and Interior Decoration. 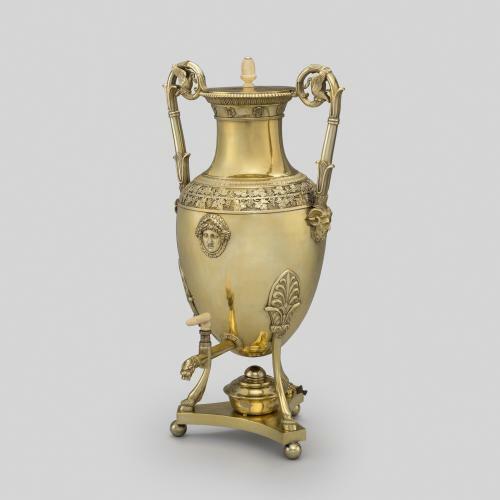 This publication had a considerable influence on other architects and designers working in the Greek Revival style. 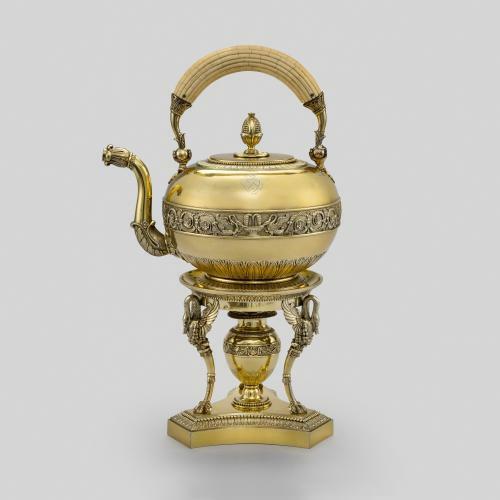 The maker of the kettle, Marc-Augustin Lebrun, was trained under the renowned silversmith Jean-Baptiste-Claude Odiot and is known for his grand pieces of silver in the classical style. 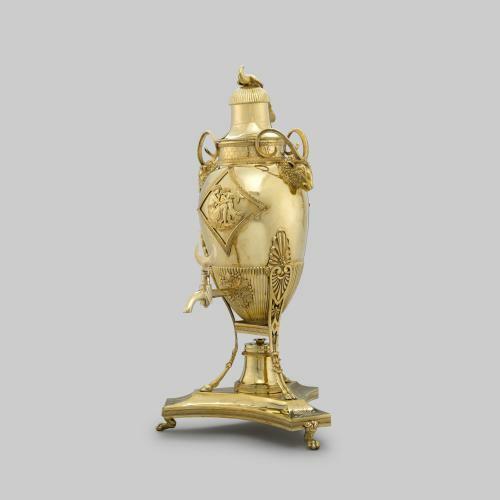 A hot water urn with similar swan decoration and hallmarks by Lebrun was given by King Charles X to an aristocrat in 1827 and is now in the Louvre, Paris.